When I arrived at the Airport to find Georgina from Gold Medal carrying a rucksack with “Sheila’s on Tour” emblazoned across it, I knew this would be a memorable trip, and it was for so many reasons. We were a mixed bunch, from youngsters in their 20’s to the not so young in their 50’s and 60’s, all fun at heart, and ready to give it our all. Many personal “mountains” were climbed during our road trip, from conquering a fear of heights, to facing a fear of water, and in one case a fear of getting a fake tan wet…..but that is another story. Etihad from Heathrow is where it began on the amazing A380 Airbus, with its wide bodied spaciousness, soft mood lighting and ergonomically designed seats, so this part of the journey was a real treat, and we settled down for our first night en route. The second flight from Abu Dhabi to Melbourne was again overnight and this time it was on a Dreamliner, which by comparison, felt slightly cramped and dated. For such a long journey, I would have much preferred to have been on an A380 all the way. On arrival into Melbourne early morning, we met up with our four guides, all guys, though none fully prepared for 11 female Travel Agents from England. Tired and weary, we headed straight to our Melbourne hotels, mine being the Crossley on Little Bourke Street. A boutique affair with contemporary furnishings, it was just a short walk to the city attractions. Filled with horizontals and verticals, Melbourne has laneways and tramways hugging the ground, and dazzling skyscrapers stretching to dizzying heights. This stylish metropolis has a European feel, much like Paris with its tree-lined streets and cafe culture. It’s heritage buildings preserve original facades, and sit side by side with the ultra-modern. We trammed and walked to the Melbourne Star a stunning white structure, like the London Eye. Towering above the waterfront amongst smart apartments, slick yachts and waterside restaurants, we gently rotated through 360 degrees in a cool glass pod with views of the city. We were joined by the lovely Nola Cuddy who chatted us through the various vistas, including the MCG (Melbourne Cricket Ground), exuding a knowledge and enthusiasm for this beautiful city. 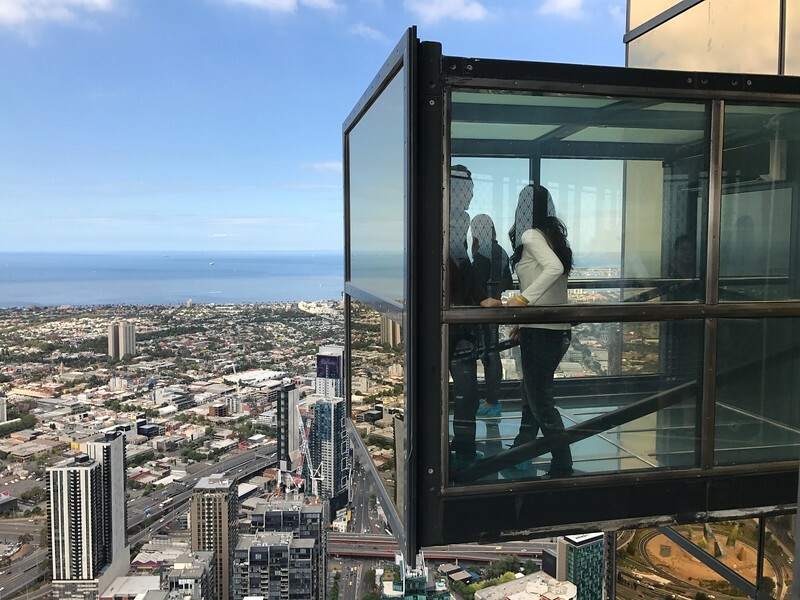 Our next stop was the Eureka Tower, where for a heart stopping ten minutes we conquered “The Edge”. At first glance, it is an innocuous room nestling 88 floors above the ground, then at the press of a button it makes its way out from the building, with nothing but 4cm of milky glass between us and oblivion. Then suddenly there is a loud cracking sound and the glass clears to reveal all round views and the ground below. This is not for the faint of heart or those like myself who are petrified of heights, though it had to be done and the views are amazing. That night we dined at the Deck Restaurant by the Yarra River with delicious food and quaffable wine. The hardy amongst us went on to a roof top bar, though for me my day was done and I finally crawled into bed…. Up and out by 8am after a generous buffet breakfast, we drove in our minibus from Melbourne to Phillip Island around 2 hours south of the city, where this environmentally aware island with a “Plastic Bag Free” campaign, was to be home for our second night. With town names like Ventnor and Cowes, it reminded me of our very own Isle of White, and Phillip Island has much to offer. Our first stop was Phillips Island Helicopters for an aerial tour over land and sea. The thrill of flying in a helicopter gets me every time, and to drift out over the ocean with every shade of blue in the spectrum, was an amazing and petrifying experience all rolled into one. Our pilot was reassuring and competent, and for a brief time I was completely lost in the moment. For motor sports enthusiasts, Phillip Island is home to the Australian Grand Prix and Superbike Circuit which has been around since 1928. It is also has the World’s largest fur Seal colony at Seal Rocks, a cruise excursion where we witnessed them doing their “thing”, from lazing on rocks to playing in the sea, and there are thousands of them. Nobbies Boardwalk is another attraction, for spectacular coastal views and a series of wooden pathways for sea life viewing. Then there is the Antarctic Journeys for a virtual insight into the frozen South with a Whale “organ” that you step on and hear their beautiful sounds. 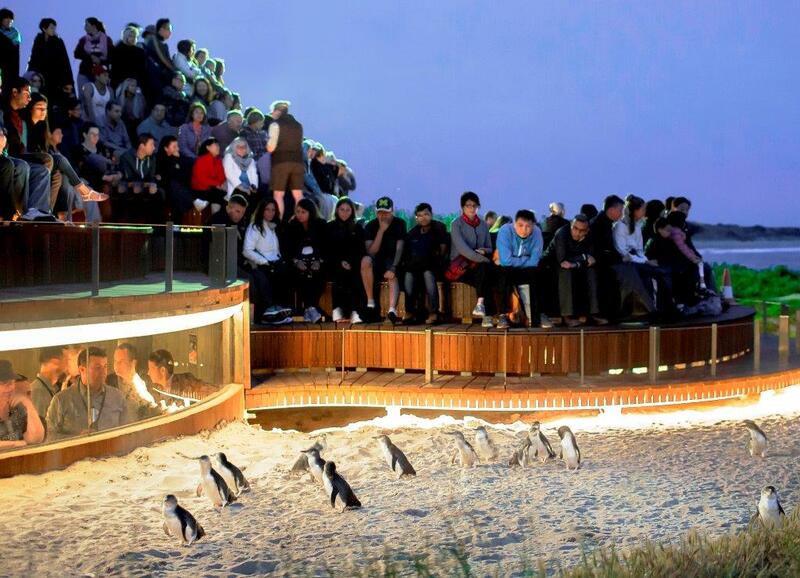 My favourite excursion though was the Little Penguin Parade, and that night as dusk descended, we waited in silence on a windswept beach. Then out of the sea popped a solitary penguin. It ran a short way up the sand, looked around, turned and ran back to the sea. Then out popped another, and this time it was followed 10, 20, 30 or more, and they ran for their tiny lives, from sea to dunes, as this part of their journey is a perilous one, filled with danger from circling predators. Throughout the beach at various intervals, there were hundreds of penguins scuttling to safety. The noise is incredible as these are really sociable creatures. We did the “Penguin Plus” package which gives access to a stand at the edge of the sand dunes in a prime position, but the pinnacle of the night was in the underground bunker where we stood eyeball to eyeball with these magical creatures, and for just a fleeting time you are part of their lives. Such Magical moments, and a must do for anyone visiting this part of Australia. That night our group stayed at the Phillip Island apartments. These were modern apartments, quietly situated and a short walk to the Main Street in Cowes. Spacious and clean, these would be a great option, as they come equipped with a washing machine which is handy for long stay travellers. Another early start for our drive to Wilsons Promontory or “The Prom”. In Aboriginal it is known as Yiruk or Wamoon and is a protected National Park which borders the Tasman Sea, with evidence of Aborigines dating back over 6,000 years. Located on a peninsula and the Southern most part of Australia, “The Prom” is filled with granite mountains, stunning beaches, coastal dunes, mudflats, swamps, forest walks, overnight hiking tracks, and peaceful camps, for a true escapist feel. Home to kangaroos, koalas, emus, snakes and the elusive wombat, here we did the Half Pillar Point Walk through scrubland, across a river, towards the beach. For those who like to wild trek, this is the ideal place to go. That afternoon we did the relatively new Refuge Cove Cruise around this stunning coastline, where the marine park protects sponge gardens, sea grass beds and kelp forests, and where in recent years they have seen a return to its waters, of Humpback and Southern right whales. Back on the road we continued our journey stopping for Afternoon tea at Riversleigh Bairnsdale Hotel. A beautiful mix of English country house and Australian homestead, we sat outside for a blissful hour sipping our tea and munching homemade scones with cream. We then headed to Paynesville for a short trip on a chain ferry over to Raymond Island. The island is home to a colony of Koalas and we were in luck as we spotted many hanging from branches, lazily snoozing the afternoon away. Our next stop was a small coastal town called Lakes Entrance in the Gippsland Lakes part of Victoria. This is the largest area of inland lakes, marshes and lagoons in Australia, where you can explore by cruise, water taxi, boat hire or kayaks. Look out for bottlenose Dolphins, musk Ducks, chestnut Teals, black Swans and Pelicans to name a few of the 300 native fauna, and the 400 indigenous flora species which inhabit this part, amongst them two rare and endangered orchid species. Ninety Mile Beach is another feature here, and as its name suggests, this a huge stretch of wild coastline with a magnificent beach and rolling sand dunes. That night we were hosted for dinner at the Country House Manor, an old homestead on a working farm. Our homemade pizzas were abundant and varied, while our hosts were local farmers and wine growers who plied us with wine for much of the night. We felt obliged to drink it in copious amounts, then headed out into the night on a much awaited Wombat walk. Despite our efforts and much talk of “there’s one in that bush, tree or field”, it was not to be and Wombats would have to wait for another day. Or not at all, as it turned out, as these endearing creatures eluded us for all of the trip, becoming something of an Australian myth and a mere figment of our guide’s imagination. By comparison, star gazing over the Southern sky, was a magical affair, with an abundance of stars, planets and the Milky Way as so much of the night sky is visible in areas such as this due to low light pollution. That night we stayed at Waverley House. These are beautiful individual one and two bedroom cottages with a veranda, open log fire, slate wall, leather sofas, wooden floors, well equipped kitchen, laundry facilities, en suite bathrooms and sea glimpses. The owners are always on hand and live next door in their grand Australian house. Back on the road, the next part of our “Sheila’s on Tour” road trip took us to the lovely wooded lakeside resort of Gypsy Point, with a swimming pool, fishing lake, Bell Birds, kangaroos and wooded walks. This elevated resort overlooking the lake is great for hiring boats and for going fishing. Then on to Pambula for Captain Sponge’s Magical Oyster Boat Tour. We drifted down the river in his oversized oyster punt, with a sumptuous tasting of Sydney Rock Oysters, fresh and delicious straight from the water and too yummy to resist. After a quick change we were out the door for a hosted Dinner at the Wharf Restaurant in Merimbula. Tucked into a cliff overlooking the sea, with a mini aquarium underneath, here we met around 30 local suppliers from the Sapphire Coast who came to welcome us with their warm Australian hospitality. We learnt about the areas whaling history in the days when whales were hunted rather than revered as they are today, and we met Bob from the Eden Whale Museum located nearby. Even today a bell is sounded whenever a Whale is spotted and for those wanting to spot whales, Short Point is a popular place for anyone visiting this area. Robyn’s Nest Guest House at Merimbula was our place for the night, a strangely old fashioned resort with it’s own charm, yet in a fab location overlooking a lake. After breakfast, we left Merimbula and on to the Tathra Beach House Apartments, with ultra-modern accommodation, some overlooking the fabulous and famous Tathra Surf Beach, this lovely resort is in a great location, with some apartments offering disabled access. Next we visited Tanja Camp on a coastal lagoon, in the midst of Mimosa Rocks National park, with raised, tented, safari style accommodation, each having a full bathroom and kitchen, where we had our first face to face encounter with a rescued baby kangaroo. Tucked in a hessian shopping bag to mimic it’s mothers pouch, this orphaned kangaroo was being hand reared, and was quite happy to be cuddled endlessly by each and every one of us. Moving on to Central Tilba near Gulaga Mountain, this is a National Trust Heritage Village where you can step back in time and wander amongst perfectly preserved Australian buildings, which now houses crafts shops selling jewellery, cheese, fudge and nick-knacks, a great place to stop along the way. On to Narooma for lunch, then Batemans Marine Park for our Clyde River, Region X Oyster Kayaking Tour. Here we paddled our way through tranquil Oyster farms, though the biggest challenge for me was actually getting into the kayak without upending it. I loved this activity as it was so peaceful drifting in and out of the oysters with nothing but sea air and a raucous bunch of agents for company! 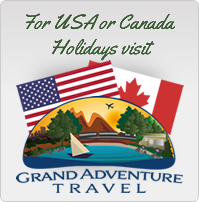 Also available are 3 day Kayak & Bike tours which include a lodge stay. These are far more taxing and are recommended for the more physically fit. Afterwards we ate fresh Oysters and learnt how to shuck whilst sipping champagne and chatting to the owners at the Oyster Shed on Wray Street. Run by a family of multi-generational Oyster farmers, this tasty seafood is ingrained in their heritage, and the welcome was pure Australian. The next part of our adventure took us out on a boat to a pontoon in the river, where we boarded a seaplane for a stunning aerial tour of the coastline and beyond…this is a must do for anyone visiting this or any other part of Australia, as the views are breath-taking. Dinner at Sam’s Pizzeria followed, a waterside restaurant which hugged the harbour, with lots of bars in and around, though most shut at 10pm. The Lincoln Downs Resort was our home for tonight, a smart 4.5 star hotel with lovely décor. It overlooked a lake with lots of bird life, a pool and Jacuzzi, and as with every night on this tour, bed was very welcome. Early to rise for another day, and this time our travels took us on to Huskisson a lovely seaside town in Jervis Bay. Here you will find Hyams Beach, noted in the Guinness Book of Records as having the whitest sand in the world, and where we joined our Dolphin watch cruise. While the weather was breezy and overcast, we were fortunate to spot a mother and baby, the latter never leaving its mothers side. Several Dolphins rode the bow of the boat at speeds and with an accuracy that is hard to imagine possible from any sea creature. Back on land, we were treated to freshly cooked fish and chips at the Portside Café right on the harbour, and when in Australia, I would definitely recommend trying fish, seafood and steaks, as the Aussies do these so well. My personal favourites are Barramundi fish, giant, juicy Prawns and tasty T-bone steaks, always washed down with a chilled glass of Sauvignon Blanc. After lunch we visited the luxurious Paperbark Camp just outside of Jervis Bay, with eco tents for accommodation, and a main house of timber on stilts where the restaurant, reception and kitchen are found. Canoeing on the Currambene Creek is a great thing to do here, and of course there are birds, kangaroos and pure escapism, for those who want a world away from normality. Sydney was to be the last stop on our fabulous tour, and for me it was a strange one. Forty years have passed since I last walked its streets, having lived and worked there for 3 years in the 70’s. As we drove through the Southern suburbs heading into the City, the familiar names of Kogarah, Penshurst and Botany Bay, brought with them a rush of memories. Sydney is the state capital of New South Wales, and the most populous city in Australia. A desirable place to live with its waterfront homes, Botanic Gardens, National Parks, and an indigenous Australian heritage dating back many thousands of years. In recent times it has undergone a rapid economic and social transformation. and is now filled with a whole host of designer shops and department stores, world class restaurants and cafes, and a range of top class hotels. Trams are about to make a welcome return to Sydney, and they will once again meander through its streets, offering an easy transport option for any visitor. Sydney is one of the most sought after stops on any visit to Australia and this trip was a real reminder as to why. We stayed at the lovely Hyatt Regency in Darling Harbour, just a 10 minute walk from Circular Quay, the Opera House and Sydney Harbour Bridge. The Hyatt is a modern high-rise hotel with spacious rooms, contemporary furnishings, modern bathrooms, and a fabulous rooftop bar named Zephyr, with views over Darling Harbour and beyond. Here we watched the sun go down on our final night in Australia. This bar is one of “the” places to see and be seen in Sydney, filled with the cutting edge “glamour-zons” of Sydney society, sipping their cocktails to the beat of the music. 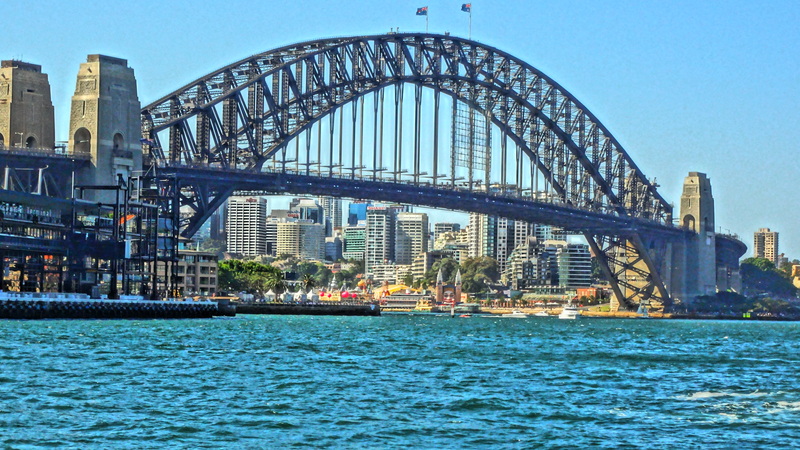 The next morning was yet another high as we were booked to climb the Sydney Harbour Bridge. Opened in 1932 after an 8 year build, today it carries 8 lanes of traffic and 2 railway lines, spanning the Northern and Southern shores of Sydney harbour, and only when you stand underneath it do you truly appreciate this 440ft high structure. The Harbour Bridge Climb is run like a military operation. First you sit in a room, fill out a medical form, sign a disclaimer, and are breathalysed, as they have a mere 0.05% tolerance for alcohol. Phew, we all passed and moved to the next room. There you stand in a circle where your size is assessed and you are given a natty blue and grey boiler suit. My tip is to ask for a couple of sizes larger so you have plenty of room to move about and to allow the air to circulate, as it is hot work climbing the bridge. Then you are given a hat to keep the sun out, a handkerchief for when you sweat, and a string for your sunglasses, all of which are clipped to your suit. The harness comes next, and then you move to another room for a practice run and your first opportunity to climb the vertical steel ladders. Then and only then, if you feel comfortable, will you proceed to the real climb. The first part is underneath the bridge, and clipped to the safety rail, you climb up ladder after ladder, towards daylight, until you are finally out in the open air and ready for the next stage. Now you are climbing the iconic curve to the summit, stopping along the way to learn about the bridge and to take in the view. At its highest point they take your photo, then you cross over the top and make your descent down the other side. It takes around 2 hours and 40 minutes in all and the views of the Opera House, the City, the Harbour and out to sea, are truly mesmerising. To add to the experience QM2 was docked in the harbour below. It is easy to forget how high off the ground you are, and how much traffic and trains are trundling across the bridge every minute of the day beneath us. Lunch was a delicious feast at the Shangri La, in a prime position near Sydney Harbour, and one of my recommended hotels for a stay in Sydney. The rooms are large and stylish, with soft muted colours, marble bathrooms and wide, wall to wall leather window seats, some with views over the Opera House, Harbour Bridge and Circular Quay beyond. That afternoon we had a couple of hours of free time, and for me I chose a walk down memory lane, visiting the Wentworth Hotel where I used to work. Then out into familiar streets for a glimpse of a world that now seems such a long time ago. Australia embraces diversity and it is no more evident than in Sydney, where the entire World is represented in those who wander its streets. This was a poignant end to my trip Down Under and to the lovely group of people I met and travelled with during this week away. During our road trip we travelled 1032km over 6 nights, visiting Melbourne, Phillip Island, Wilsons Promontory, Gippsland Lake Entrance, Tathra Beach, Central Tilba, Narooma, Batemans Bay, Jervis Bay and Sydney, with a variety of accommodation on offer from 5* hotels and guest houses, to individual cottages, apartments, eco camps, luxury tents and cabins. Our Melbourne to Sydney road trip offered so much more than I could ever have imagined. This area is great for visiting two of Australia’s most sought after cities, plus Whale watching from September to December, Wilderness Reserves filled with Kangaroos & Wombats, and Wild camping in thick forests, beneath granite mountains. 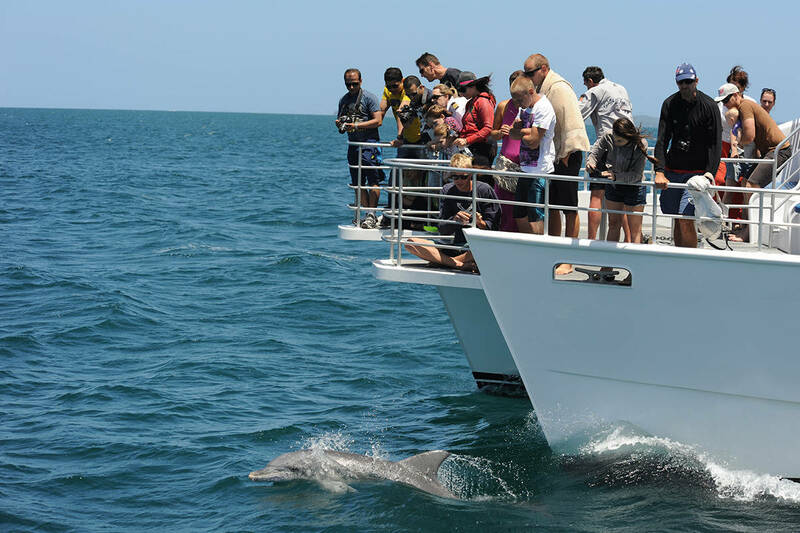 Plus you have Adventure Activities like kayaking and trekking, Aerial tours in helicopters and seaplanes, an abundance of Sea life from Penguins and Seals, to Dolphins and Oysters, with stunning wild coastal scenery, endless beaches, and sparkling Sapphire waters. This is a very different part of Australia, great for 2nd and 3rd time visitors, filled with friendly people waiting to welcome you with arms open wide…..and one I loved immensely.